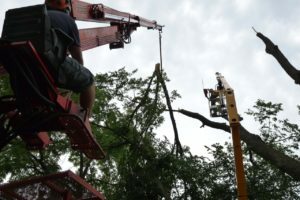 At Forest Keepers Tree Care, we have an our own crane, with an articulating, extensible boom for supreme maneuverability in tight quarters. 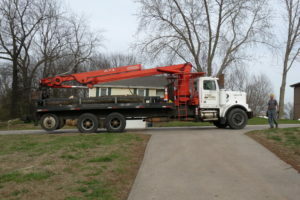 Featuring a reach of over 50′ and a lift capacity of greater than 10,000 lb. 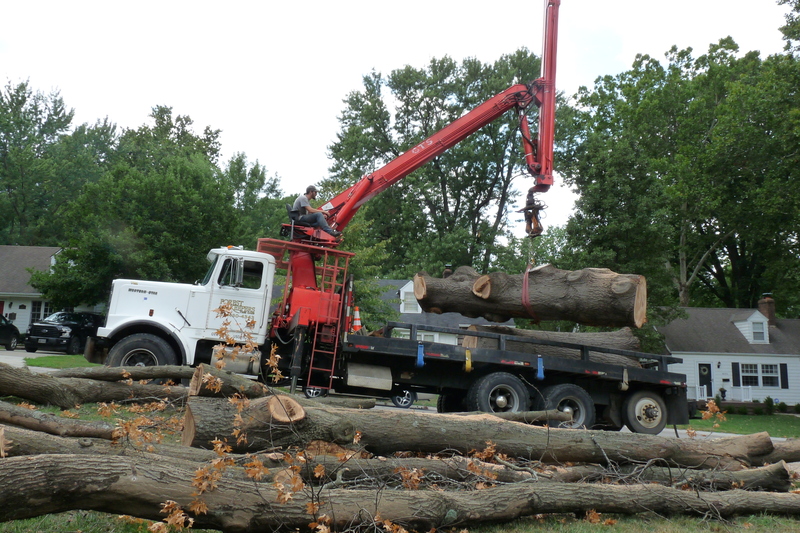 We can handle huge logs far beyond the capability of traditional brush grapples. 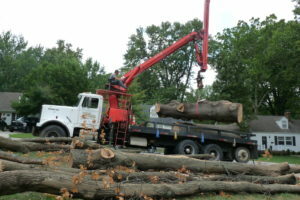 Our grapple and crane slings ensure secure removal of logs of various sizes. 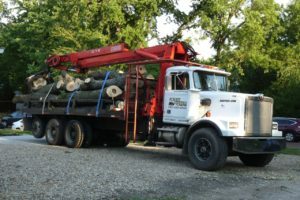 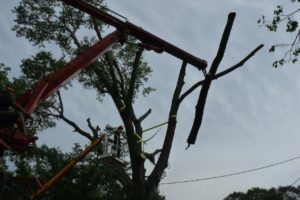 Whether you are a home or farm owner with a log pile you need to get rid of, or another tree company that needs to increase your material handling ability, we can help! 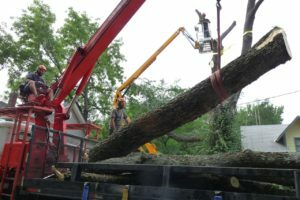 Contact us to see what we can do for you.